Heartland Veterinary Clinic is seeking a full or part-time associate veterinarian to join our current two doctor busy and growing practice. We are a predominantly small animal practice that also serves equine and livestock clientele. We have in-house blood machines (including the first automated urinalysis machine in the state), digital radiology, portable ultrasound, ultrasonic dental machine with high speed burr, digital dental radiology, gas anesthesia, and an equine dental float. 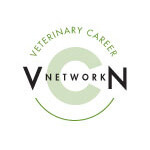 We are searching for a veterinarian that is ambitious, well-rounded, compassionate, has excellent communication skills, and is interested in practicing high quality medicine. We would gladly welcome applicants with other areas of interest and talents as well. We are open to mentorship for any new or recent graduates. Brookings is a growing community with a state university, well ranked school system, and diverse indoor and outdoor entertainment opportunities available, as well as a close proximity to Sioux Falls.